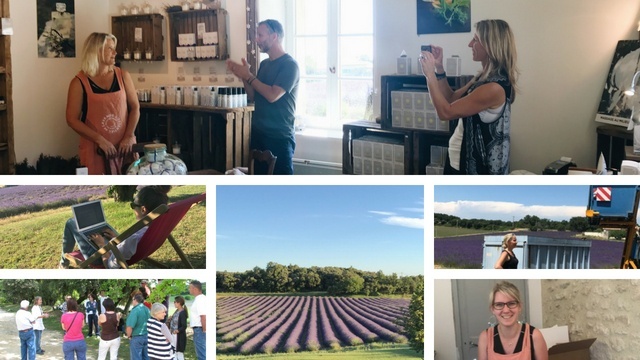 Support a French small-scale organic lavender farm ! For over ten years, L’Essentiel de Lavande produced natural lavender and lavandin essential oils extracted from the chalice of flowers cultivated in accordance with French Organic Quality standards. Lavender is our true passion that is why we are considered as the French expert brand in the fields. Today we sell our products within our Domain in Clansayes as well as online worldwilde. Today we need more space to further develop our business. - To cultivate more organic lavender fields (variety : true lavender and lavandin). - To store our products and agricultural materials. We want to keep complete control over our entire production process in order to ensure product traceability and thus the high-quality of our essential oil and our cosmetic line. Our goal is to plant as soon as possible our new lavender fields with an expected first harvest in 2020. Unfortunately the soil need much more work than expected that is why we absolutely need to raise 20000€ by the 16th of September. We take care of the entire production process from soil to sell. The components of our comestics line are carefully selected. They do not contain any parabens, silicones, thiazolinones, hydrocarbon and absolutely no animal testing. This is a contribution for an eco-responsible project and a 100% Made in France venture. You will be part of our passion and authentic adventure. OFFICE LIFE : from the fields to the computer !